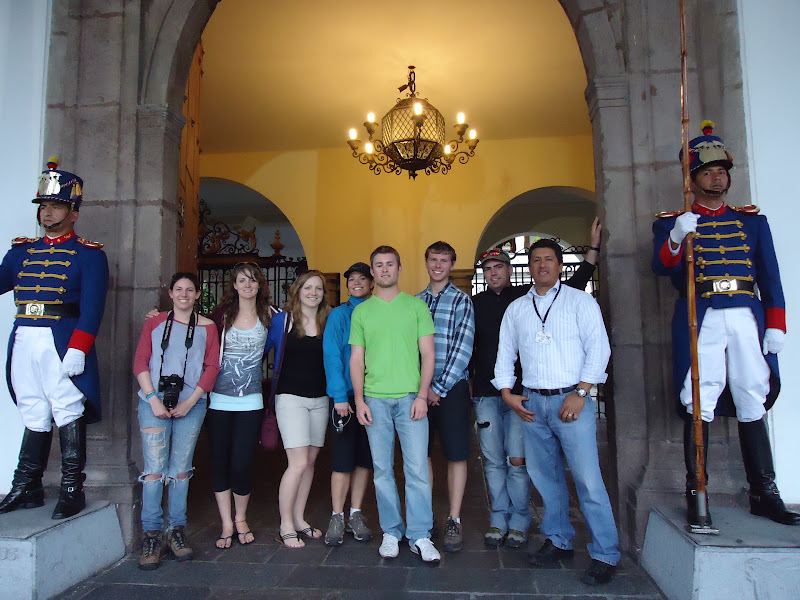 Having spent the last several months working with a project in higher education with tourism students from Canada we have learned a lot in the education hallways of Ecuador. In Ecuador public school education is compulsory until the age of 14. Inadequate Public education here has resulted in overcrowding of schools and the growth of attendance at private schools. In fact the education model here is almost opposite to North America where the majority attend public schools and private schools are reserved for the elite. In South America the private schools receive the majority of the students with the limited public school capacity, and poor quality. A high percentage of children, especially in rural areas, do not ever attend high school. About 40 percent of those who do attend high school go to private schools. 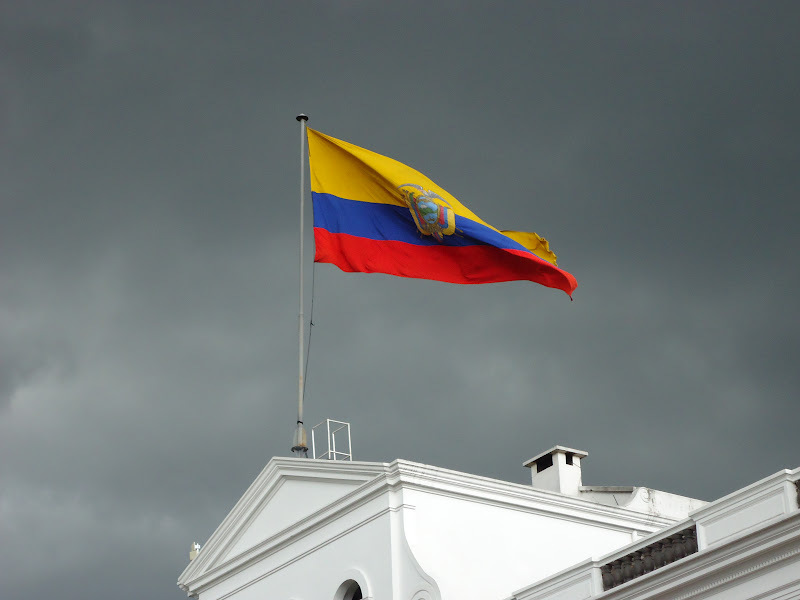 The United Nations Human Development report ranked Ecuador as 80th out of 182 countries in 2007, in terms of human development factors such as, life expectancy, literacy and per capita GDP. The Constitution passed in 2008 eliminated tuition fees for the public universities, in a step to make education more accessible to all. Ecuador's higher education systems consists of over 75 Universities, of which about half are public, and over 300 institutions that provide higher technical or vocational training. Most Universities provide a wide range of subject areas while polytechnics and some other schools specialize. 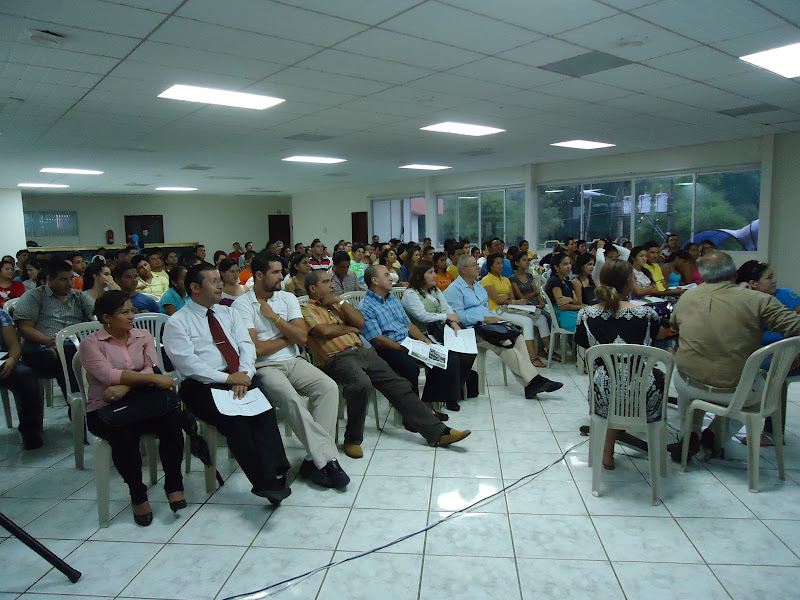 Graduate level education is relatively immature in Ecuador, having only started in 2000. 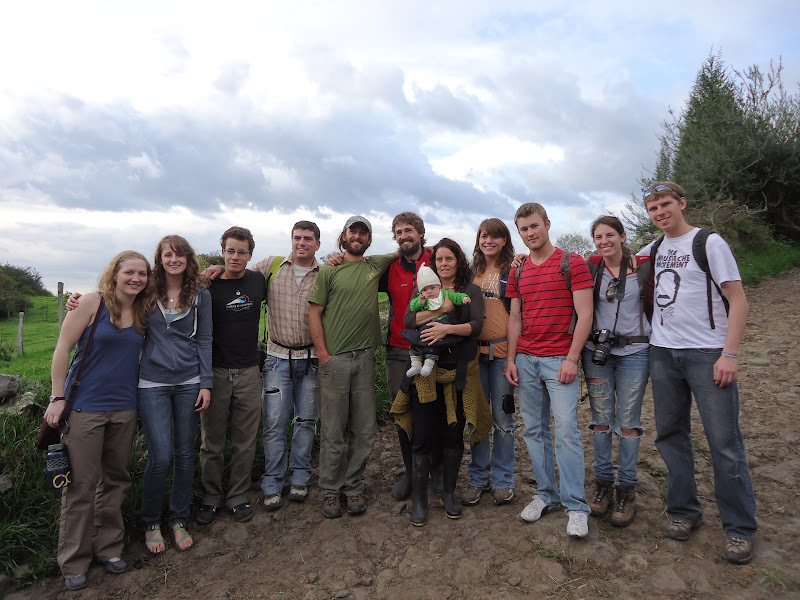 In fact Ecuador's first doctoral candidates have yet to graduate ! Not all University professors have a Master's degree, and only some University presidents and research professors have doctoral degrees. Very few school teachers have any degree or higher education. Ecuador's President Rafael Correa, a former University Economics Professor educated in University of Illinois, is undertaking strong measures to improve higher education standards in Ecuador. Ecuador has 75 Universities educating some 625,000 students. "Ecuador probably has the worst universities" in South America, he said in an interview at the presidential palace. Many of the failing universities, which serve 69,500, "are cheating their students because they don't have the minimum elements to guarantee academic excellence," he said. But despite his being a former academic, the president and his ideas are opposed by university leaders. They charge him with trying to undermine university autonomy in violation of the Constitution. The National Council of Higher Education, known as CONESUP, oversees and accredits all higher education institutions. Universities maintain a great deal of autonomy although this is beginning to change in an effort to tie university education more directly to the country's workforce needs. The reform of higher-education is seen as a key prerequisite to the country's development. The government's evaluation process created a significant hole in the traditional autonomy of universities. Ecuador's efforts to improve higher education poses a threat to dozens of privately owned 'garage universities.' Twenty four privately owned Universities have received a failing grade from the government's assessment. If these Universities do not make major improvements they will be closed. Two government schools also received failing grades and may be shut down. This has created a lot of anxiety and uncertainty amongst current students. Many of the schools receiving a failing grade are younger institutions and administrators argue the measures used, clearly placed them at a disadvantage to their older well established peer institutions. Improvement measures include the implementation of admission requirements this year based on aptitude. That will replace a chaotic and often unfair system in which many students got into schools because of their connections. Admission criteria vary by school and may include entrance exams and secondary school grades. Tuition at public institutions is very low since they are heavily subsidized while private institutions charge substantial tuition fees. Although controversial, Correa's proposal seeks to improve the quality of teaching. By 2017, all professors must have at least a master's degree, and many will now be required to have a doctoral degree. Currently Ecuador only has 250 full-time professors with doctorates, all from foreign institutions. "Here, anyone thinks they can be a university professor," the president was quoted as saying by the Cuban news agency Prensa Latina. "I graduated and I started to teach a course on economic dynamics, and I am now ashamed of the stupidity of what I taught." In order to increase the pool of qualified professors, the government has embarked on an ambitious scholarship program. Several years ago, the country gave scholarships for postgraduate study abroad to about 20 students a year. 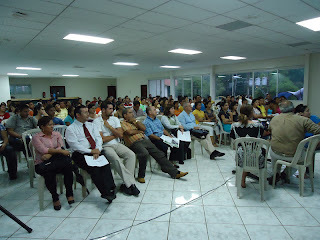 In 2011 1,070 students received the scholarships. In 2012 they expect over 3,000 students. The program requires the students studying abroad to return to Ecuador for twice the amount of time the government sponsored their education abroad. The current proposal also seeks to increase enrollment, particularly among underprivileged students, by creating six new public universities and bringing two others under state control. Critics argued that the existing universities are sufficient to meet demand, and that creating new ones would only divert scarce government funds. 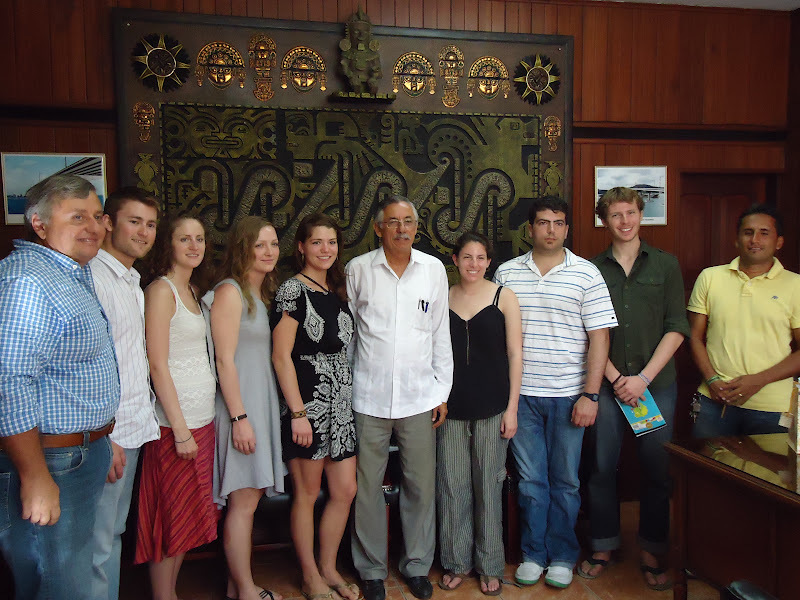 Ecuador has one of the highest university matriculation rates in the region—23 percent, compared with the regional average of 18 percent. Other standards are been proposed such as a minimum of 60 % of teaching faculty should be full time. A recommended minimum level of computer resources available for students. He will also create a new academic accrediting agency, and tighten government control over the university system through a revamped governing body, the National Council for Higher Education. There is a global trend for country governments to demand more accountability from their Universities. Originally places to train priests, the universities of Ecuador have gone through changing missions. While more recently they have trained students in the law, arts, and philosophy, they now prepare to train students in engineering, technology, and CIS. Ecuador's universities are changing to meet the challenges of the technological age. During the colonial period, the authorizations for universities were by papal authority, royal decree, or authority of the Council of the Indies. All the universities established during the colonial era emulated the University of Salamanca model, which emphasized theology, law, arts, and medical studies. 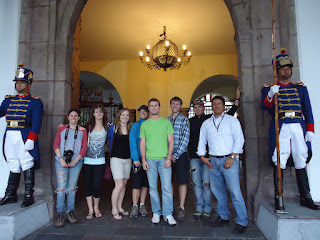 The Universidad de San Fulgencio de Quito was Ecuador's first university. It was authorized by papal bull in 1586. 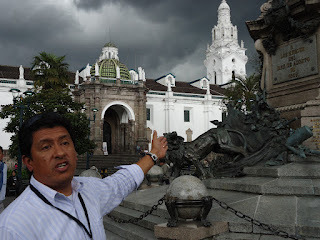 Progress of higher education in Ecuador seems to be out of control because external economic and political forces have changed the characteristics, emphasis, curriculum, and student populations of most public institutions. Certainly the sifting of the educational, political, and economic agendas has resulted in new goals, priorities, and missions for public universities. New academic and economic models had to become important to the higher education system. Extreme financial constraints have challenged the traditional rights of public higher education. Reform has been difficult and is not likely to further equalize university entrance. Perhaps the greatest problem is one that is seen in many countries: budgets were not compensated when enrollment increases occurred. Thus the growing demand for admittance to universities and access to academia through public universities over-came the delivery abilities of those schools. University budgets were almost entirely consumed by faculty and staff salaries with no room for the physical plant and operating costs. The problem that public institutions are facing is one of growing elitism. With rising student fees, increasing technological costs, and governments less willing to continue to pay the traditional percentage of the cost of educating a student. After exhausting student fees Universities creatively privatize services. In the 1990's over half of a University's operating budget was self-generated. Free higher education is a longstanding tradition in Latin America and often constitutionally guaranteed. Interesting these developing countries funding models may be leading, as Post Secondary Education in North America has been trending this way for the last several decades. Contrasted with funding models in other countries where government continues to fund a significant share, student tuition fees contribute 15 - 25 %, and privatized services play a small but increasing role in funding the University.